iCanScript v2.0.24 available for download by Registered Users. V2.0.24 introduces iCanScript Packages and several minor bug fixes. iCanScript v2.0.22 available for download by Registered Users. V2.0.22 is a minor bug fix release. 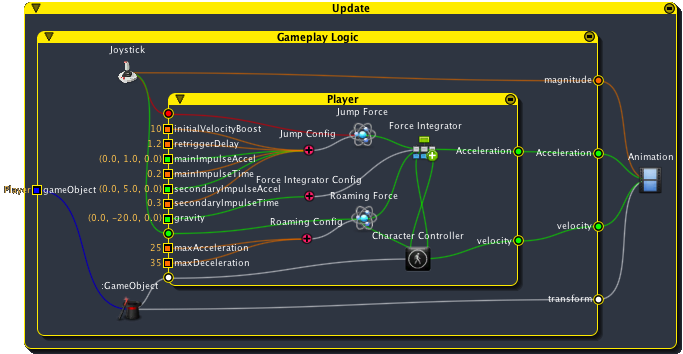 Transforming input values into game behaviours is something that you do in every game. This process of transforming data values, referred to as Data Flow, is at the core of the Functional Diagrams. 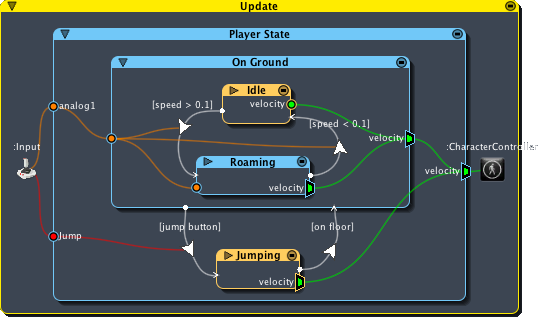 Simply connect the outputs of one node to the inputs of other nodes to create data flows. iCanScript understands data flows and automatically determines the execution order for you. Use enable and trigger ports for user defined execution control (such as traditional If-statements). Often, the behaviour of your game objects change depending on their state. This is best handle with State Charts, a control diagram that segregates your visual script by state and allows for transitions between these states using trigger conditions. State Charts supersedes state machines by allowing both states and superstates. A superstate is a state that includes an internal state diagram. This is also referred to as multi-level state machines. Add functional diagrams in the Entry, Update, and Exit section of each state or superstate to implement the desired behaviour. iCanScript helps you structure and organize your scripts by allowing you to break-down complex functionality into simpler ‘packages’. 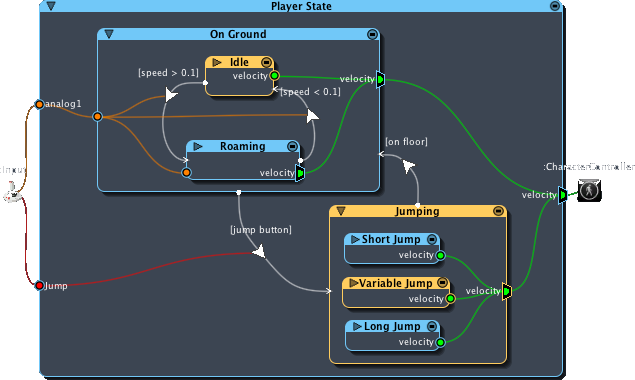 Each package node includes its own internal visual script as well as input and output ports. Of course, visual scripts inside packages can also include their own package nodes promoting true multi-level visual scripts. With the ability to work at multiple levels of abstraction, iCanScript can handle complex visual script that would simply be too difficult to realize using a flat model. The advantage of seeing the big picture can quickly diminish as the visual script increases in size. To alleviate this issue, iCanScript give you the ability to work at various levels of details. At any time, you can 'unfold' a node to access its internal visual script, 'fold' the node to work with its compact form, or 'iconize' it. The canvas can be zoomed, giving you better control over the navigation of the visual script. Finally, you can single out the internal visual script of a node to work on it in isolation. Its not about the features, its all about how well they integrate together for you! With iCanScript, you can seamlessly integrate functional and state chart diagrams at multiple levels of abstraction in the same visual. Functional diagrams can include state charts and state charts can include functional diagrams. You are therefore free to use the best approach in realizing your visual scripts. By integrating the technologies and unifying the user interface, iCanScript leads the path to next-generation visual scripting. Love to use it. Rightly priced, with maximum capacity to be used in programming games visually. No visual script give me this much flexibility before. Great going. I have heard that next feature coming to iCS like arrays and loop will make this tool more and more useful. So lets begin the game design completely visually. This is best tool compare to any visual scripting asset available on the Unity asset store, I really love to use it,as it is very user friendly for non coder. Best devloper support on devloper forum. This is a most powerful tool till date for unity. 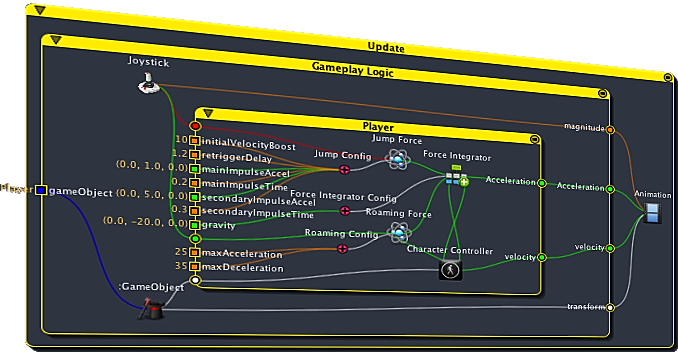 Visual scripting can not be better then this. Recommend all non coders. Go try it and see your self.